The recent special report of the Intergovernmental Panel on Climate Change (IPCC) has focused world attention on the accelerating threat of anthropogenic warming and climate change. Its conclusion is stark: there is a material, negative impact of climate change above 1.5°C of warming. Equally stark is its assessment that countries are not yet travelling the greenhouse gas reduction pathways to prevent this from happening. Many parts of the world—including Canada—are already feeling the impacts of global warming and changing climates. Impacts on natural and human systems from global warming have already been observed (high confidence). Many land and ocean ecosystems and some of the services they provide have already changed due to global warming (high confidence). Although not country-specific, the IPCC special report notes many of these observed impacts and anticipates the changes that could occur with further global warming, as well as what these changes could mean for different regions and sectors. This article provides key citations from the report to show how Canada already is, and increasingly will be, affected by global warming and climate change. Human activities are estimated to have caused approximately 1.0°C of global warming above pre-industrial levels, with a likely range of 0.8°C to 1.2°C. Global warming is likely to reach 1.5°C between 2030 and 2052 if it continues to increase at the current rate. Warming greater than the global annual average is being experienced in many land regions and seasons, including two to three times higher in the Arctic. For some time, we have known that global warming is neither linear in its growth nor equal in its impact across the globe. As a northern country, the rate of warming in Canada is proving greater than the global mean, having already increased by 1.5°C between 1950 and 2010. One part of Canada that has experienced even more significant warming is the Arctic, which has warmed by 1.9°C over the past three decades. Western Canada is also warming faster than Eastern Canada. Several regional changes in climate are assessed to occur with global warming up to 1.5°C compared to pre-industrial levels, including warming of extreme temperatures in many regions (high confidence), increases in frequency, intensity, and/or amount of heavy precipitation in several regions. In short, we will see a change in the frequency of high-intensity weather events throughout Canada, but the type of events will differ. For example, drought conditions are more likely to be experienced on the Canadian Prairies, while in the Maritimes more intense storms are anticipated. Climate change is capricious. It affects different parts of the globe differently. And it will affect different regions of Canada differently too, with the Arctic experiencing greater change. Both Arctic tundra and sea ice are at risk, according to the IPCC. High-latitude tundra and boreal forests are particularly at risk of climate change-induced degradation and loss, with woody shrubs already encroaching into the tundra. The changes already experienced are projected to increase with greater degrees of warming. They will profoundly affect Indigenous ways of life and livelihood in our North. Hunting and gathering patterns will shift forever. Ice roads and transportation routes suddenly are less reliable. Food and necessities for isolated communities become far more expensive and difficult to secure. Think of Churchill, Manitoba, and the recent loss of its single railway line due to degrading rail beds and extreme weather impacts. Populations at disproportionately higher risk of adverse consequences of global warming of 1.5°C and beyond include disadvantaged and vulnerable populations, some indigenous peoples, and local communities dependent on agricultural or coastal livelihoods (high confidence). Regions at disproportionately higher risk include Arctic ecosystems, dryland regions, small-island developing states, and least developed countries (high confidence). Coastlines will be more exposed to extreme weather events and erosion. Tundra warming will likely lead to faster permafrost degradation and greater releases of stored carbon into the atmosphere. This feedback loop between warming and the release of greenhouse gas from thawing tundra represents a potential tipping point. Tipping points are where climate change impacts become irreversible and lead to a cascade of other negative impacts. Arctic sea ice has already shown the effects of warming temperatures with shorter seasons and thinner ice. Higher temperatures are projected to have even more profound impacts. 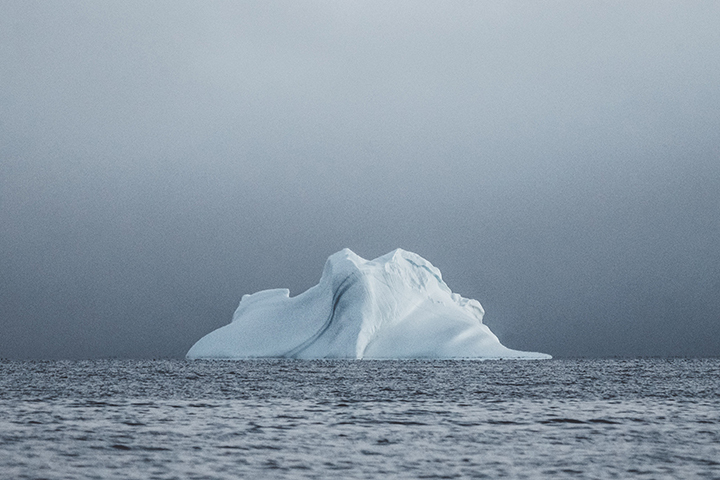 There is high confidence that the probability of a sea-ice-free Arctic Ocean during summer is substantially lower at global warming of 1.5°C when compared to 2°C. With 1.5°C of global warming, one sea ice-free Arctic summer is projected per century. This likelihood is increased to at least one per decade with 2°C global warming. An ice-free summer in the Arctic would be a significant occurrence. Beyond the major biodiversity impacts, the prospect of new polar shipping transit bears understanding. Canada’s sovereignty footprint would require a renewed financial and national commitment in return. The Arctic as many have known it will simply be changed forever. “Mari usque ad Mare”—from sea to sea—takes on powerful connotations for a country with three coastlines on the north, west, and east in the face of climate change-induced sea-level rise. Sea level rise will continue beyond 2100 even if global warming is limited to 1.5°C in the 21st century (high confidence). Marine ice sheet instability in Antarctica and/or irreversible loss of the Greenland ice sheet could result in multi-metre rise in sea level over hundreds to thousands of years. Higher sea levels put Canada’s coastal regions at risk, as they are more exposed to extreme weather events and erosion. Higher storm surges will ravage coastal properties and communities. Infrastructure failures can result, putting safety and lives at risk. Property values can plummet, undermining financial savings Canadians have invested in their homes, not to mention higher insurance premiums to compensate. Very exposed communities will have to contemplate strategic retreat in the face of coastal erosion and personal safety, as living there will become more and more untenable. Higher global warming temperatures will affect Canada’s biodiversity in myriad ways. Impacts associated with other biodiversity-related risks such as forest fires, and the spread of invasive species, are lower at 1.5°C compared to 2°C of global warming (high confidence). We have already experienced intense forest fires that have burned more area and lasted longer than in the past. Think Fort McMurray or Kelowna. Global warming will intensify this risk. More forest fires affect timber supply for housing and construction, hurting jobs and forest communities. 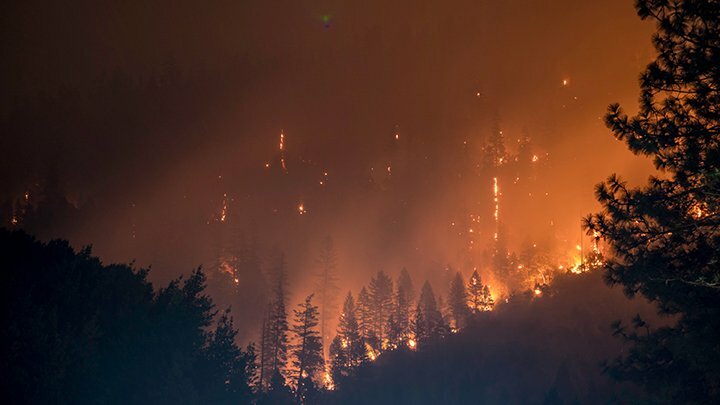 They raise disaster management costs for governments, which must pay for forest fire suppression, community relocations and emergency relief efforts. The spread of invasive species will, over time, change the complexion of our forests and agricultural supplies and practices. Recall the pine beetle devastation in the forests of British Columbia and Alberta. Even now, Genome Canada, for example, is pondering ways to create hardier, more climate-resilient tree species. Canada’s fishing industry, rich and central to many coastal communities but precarious too, will be affected by these projections of higher warming. Global warming of 1.5°C is projected to shift the ranges of many marine species, to higher latitudes as well as increase the amount of damage to many ecosystems. 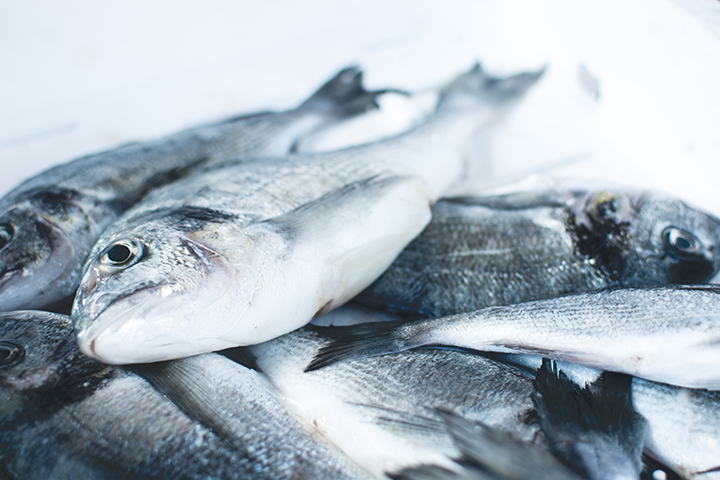 It is also expected to drive the loss of coastal resources and reduce the productivity of fisheries and aquaculture (especially at low latitudes). As fish migrate and new breeding patterns emerge, fishers and processors will have to adjust. Previous high-value species may diminish or even disappear due not just to climate change but also to short-term human responses such as overfishing to compensate. Higher temperatures around the world will directly affect current food production practices everywhere. Keeping warming to 1.5°C is clearly advised by the IPCC. For Canada, shifts in food production elsewhere may mean accompanying shifts here. The prospect of greater export opportunities needed to compensate for these changes is obviously appealing. That will necessitate adjustments in planting patterns and crop management in Canada’s Prairies in particular—and doing so in a manner that also adapts to the climatic changes we will be experiencing. As food production fails in some parts of the world, regional and nation-state conflicts can exacerbate, leading to population shifts and migration. Canada as a safe and prosperous haven will need to come to grip with “climate refugees” as a consequence. Unique and threatened systems: ecological and human systems that have restricted geographic ranges constrained by climate related conditions and have high endemism or other distinctive properties. Examples include coral reefs, the Arctic and its indigenous people, mountain glaciers, and biodiversity hotspots. Keeping Canada the way it is and the way we want it is no sure thing anymore. This op-ed first appeared in the National Observer on October 17, 2018.